MainAll NewsRadioTish'a B'Av is over - now what? A fresh start for us after the devastation of the Churban and of the many of our sins that brought it about. You have to wonder why there is a word in the dictionary, COINCIDENCE. There doesn't seem to be any. Not at least when it comes to Parshat HaShavua and Calendar dates. True, Matot and Mas'ei are juggled to make sure D'varim is before Tish'a B'Av and that Va'etchanan is right after. But they are amazingly well placed and suited for their calendar tasks. We won't belabor the point of the focus by Moshe Rabeinu on the sin of the spies, that sin being the first tragedy that the mishna in Taanit associates with the ninth of Av. But take a look at Va'etchanan. First of all, the Torah reading for Tish'a B'Av morning is taken from Va'etchanan. That portion speaks of the prophecies that the people of Israel will turn their backs on G-d, and sadly, they did. Big time. That's the mishna's item two. But look at the NECHAMA, the consolation that we find even as we read the Torah on Tish'a b'Av morning. The reading includes the greatest gift we have received from G-d - T'SHUVA, the golden opportunity to repent and return to Him. 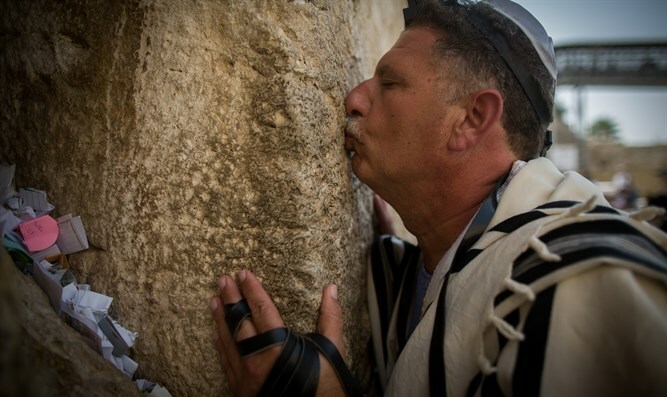 It contains the reminder of G-d's mercy and His special relationship with us. And it speaks of the unbelievable uniqueness of AM YISRAEL. And the reminder - which we will see again in the sedra with SH'MA YISRAEL - that G-d is One and Unique. And that's all from the part of the sedra that we read on Tish'a B'Av morning. Look at the rest of the sedra. Moshe Rabeinu just happens to tell us about Revelation at Sinai, the receiving of the Torah, and about its transmission throughout the generations. That's a fresh start for us after the devastation of the Churban and of the many of our sins that brought it about. And back to the Eretz Yisrael factor. If Tish'a B'Av marks our rejection of the Land with the panic that erupted from the report of the Meraglim, then Parshat Va'etchanan gives us several fresh opportunities to recommit, not only to Torah and Mitzvot, but to the location that HaShem has always wanted for us and our lives of Torah. Every pasuk - and there are many - that reminds us that G-d made us a nation, His nation, in order to give us the Torah and give us Eretz Yisrael should do different things to different Jews today. For the Jew who lives in Israel, he/she should be strengthened in his choice, he/she should feel good that he/she is doing R'TZON HASHEM, G-d's will. For the other Jews, wake up, do some serious thinking, and make plans.